If you consider Margherita pizza to be the best, don’t you even dare look at these pictures: these 20 pizzas are light years away from Italian and Neapolitan traditional cuisine. No buffalo mozzarella, no San Marzano tomato: to make up for it, there are chili, bananas and even pineapple. If you consider Margherita pizza to be the best, don't you even dare look at these pictures: these 20 pizzas are light years away from Italian and Neapolitan traditional cuisine. 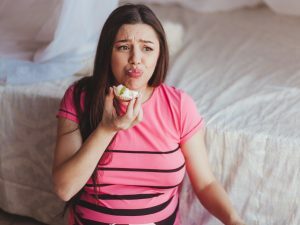 No buffalo mozzarella, no San Marzano tomato: to make up for it, there are chili, bananas and even pineapple. 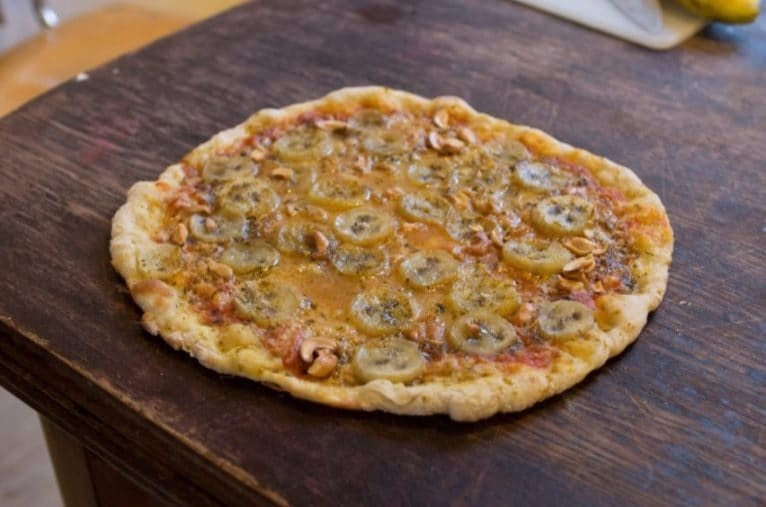 Swedish people put banana on their pizza. 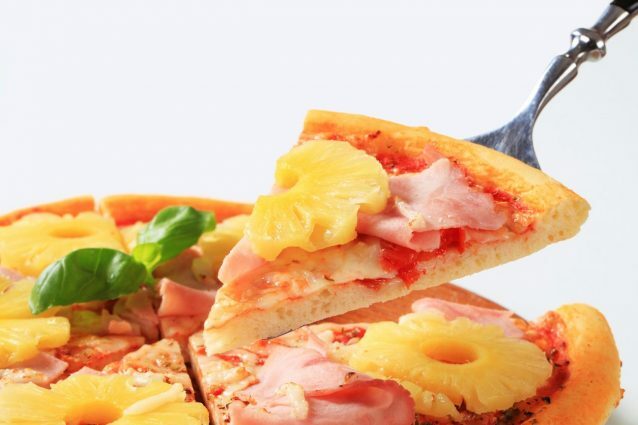 Kind of like a Hawaiian pizza. 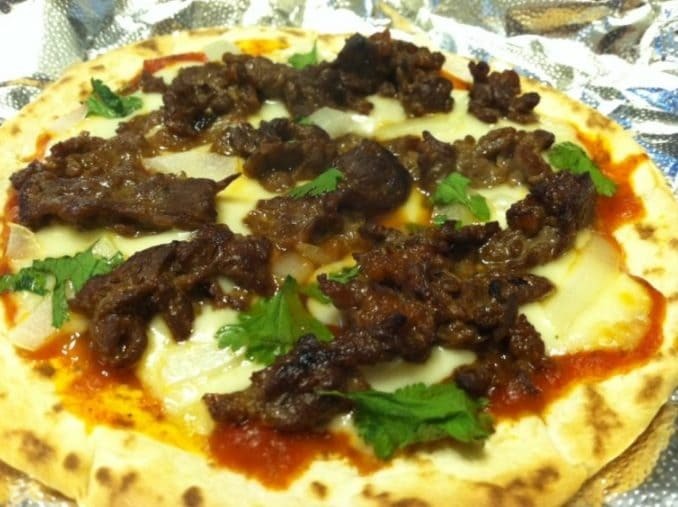 Bulgogi pizza is a very common pizza in South Korea. Bulgogi is marinated BBQ beef. Pakistani people love spicy flavors. 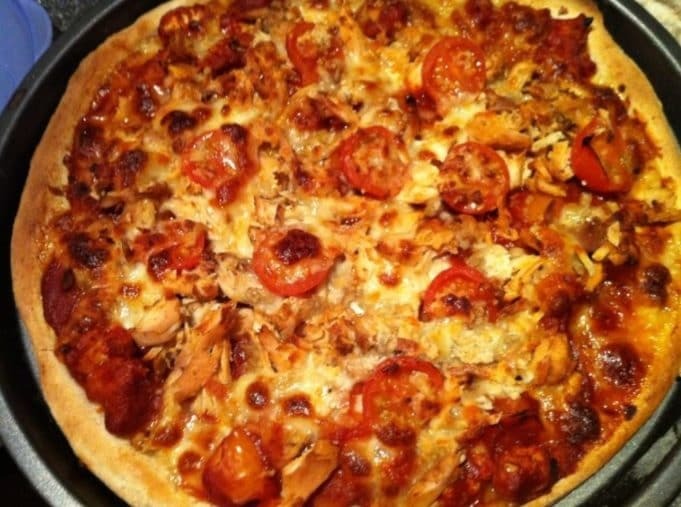 Chicken Tikka Pizza combines delicious pieces of chicken spiced up with garam masala and coated in a spiced sauce. 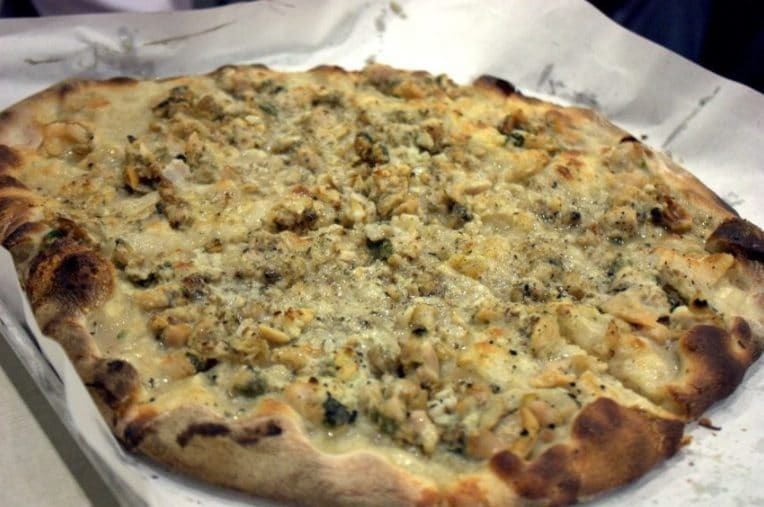 In New Haven, the most famous pizza is White Clam Pie at Frank Pepe Pizzeria Napoletana. 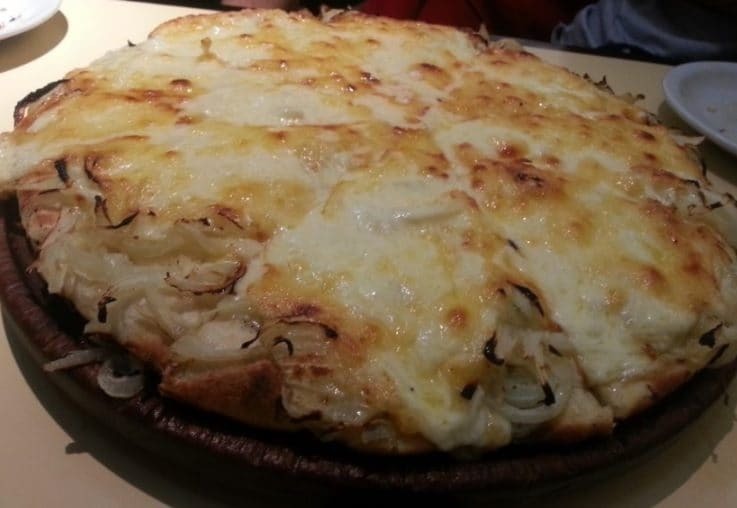 It has lots of ingredients: clams, olive oil, oregano, grated cheese and garlic. 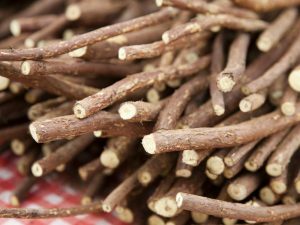 It's called Fugazza. 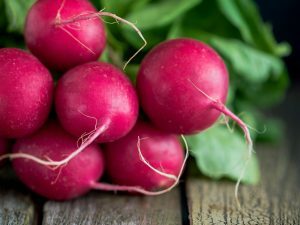 It's topped with a pile of sweet onions and herbs. It lacks a tomato-based sauce. 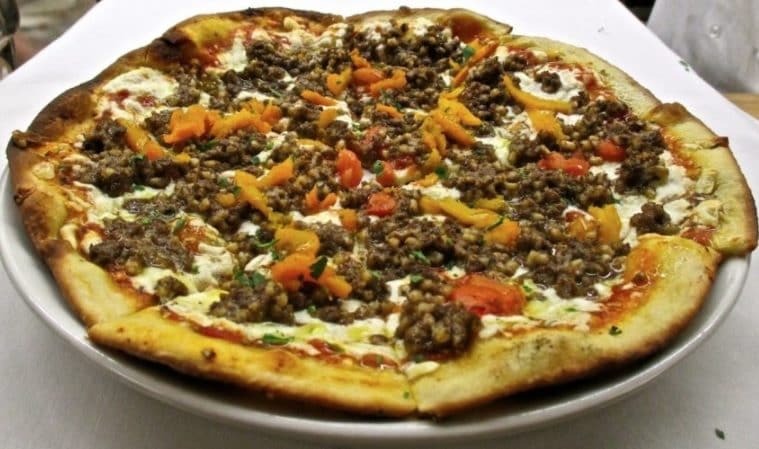 This pizza is topped with haggis, the traditional Scottish treat that's made with sheep's stomach or ox secum, mixed with various spices. 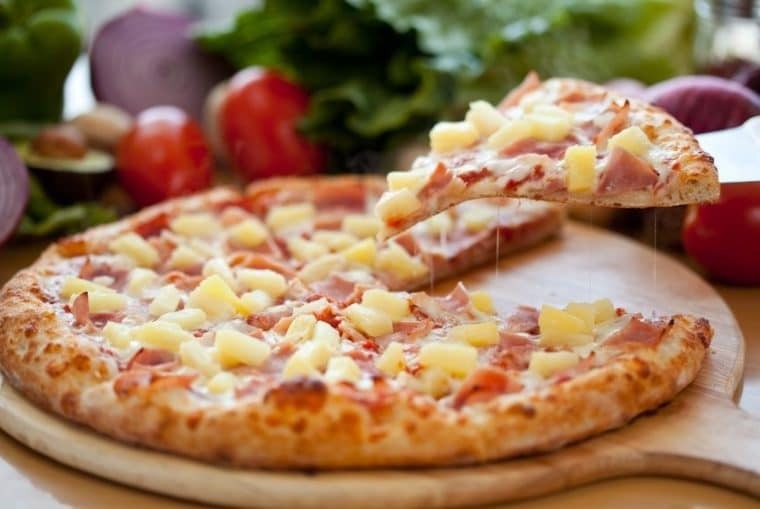 This is outrageous for real Neapolitan pizza lovers: pineapple as a topping of the worldwide famous dough disc. A really heavy meal: ginger, ground mutton meat and paneer cheese. It's called Mayo Jaga. 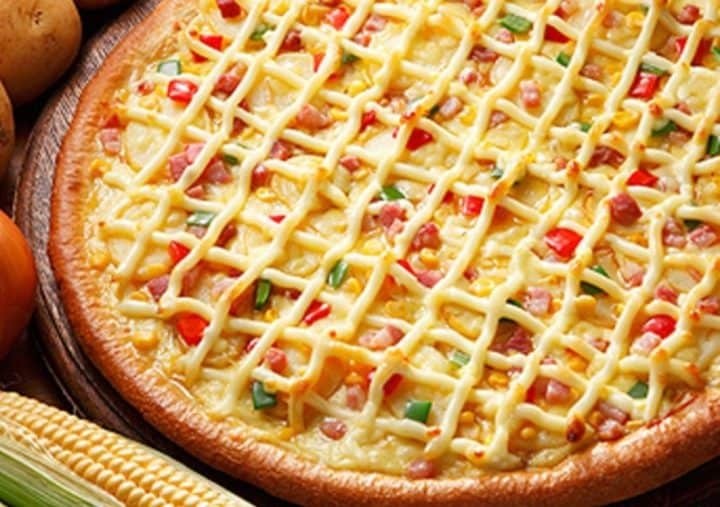 It's made with corn, onions, potatoes, bacon, peppers and a lot of mayonnaise. 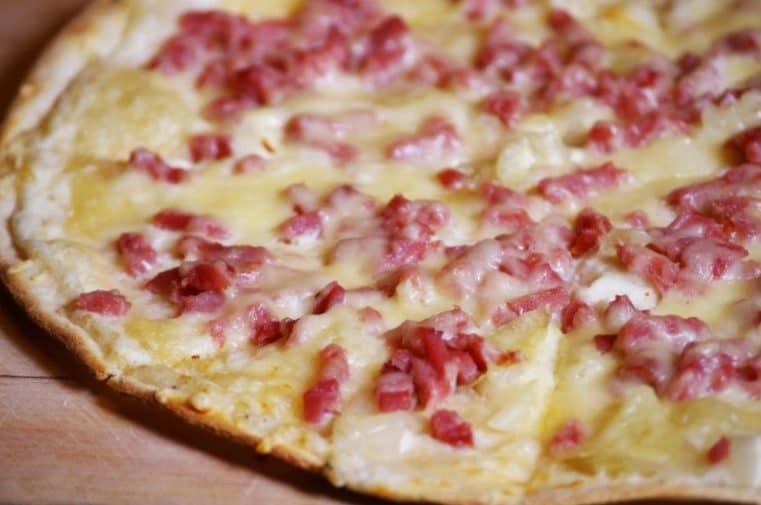 This pizza was named after Silvio Berlusconi, the former Italian prime minister who criticized Finnish cuisine. 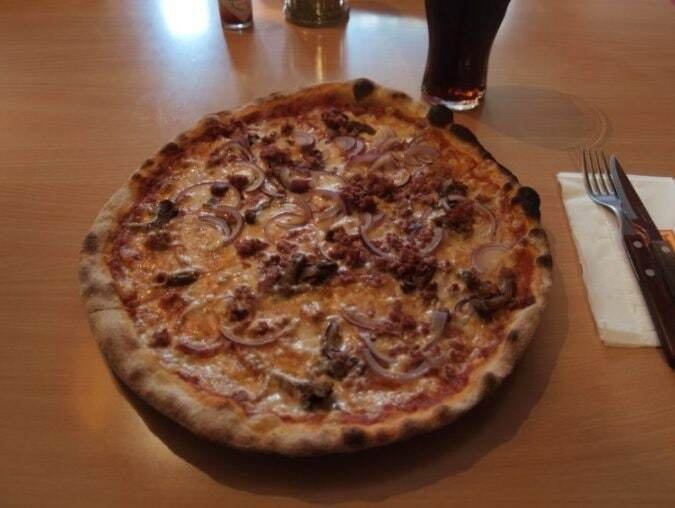 It contains smoked reindeer meat, tomatoes, cheese, chanterelles and red onions. Maybe Berlusconi wasn't wrong after all. This French pizza is made with puff pastry and is topped with sour cream and cheese. 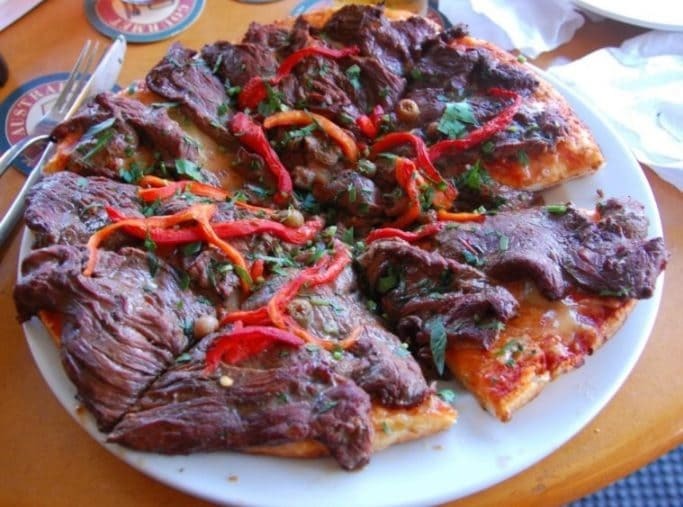 In Australia, lots of restaurants serve pizza with kangaroo, emu or even crocodile toppings. 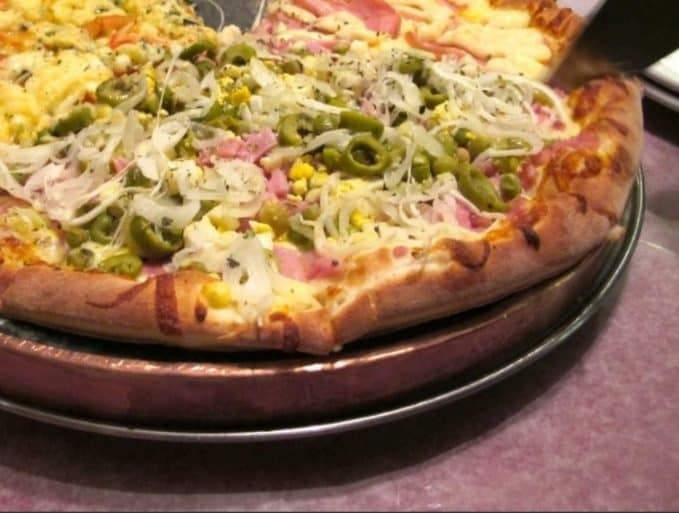 This pizza is topped with ham, cheese, corn, peas and heart of palm. 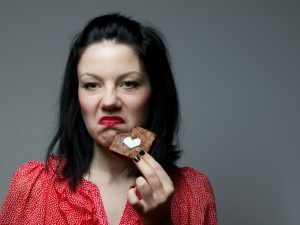 It has no tomato sauce. 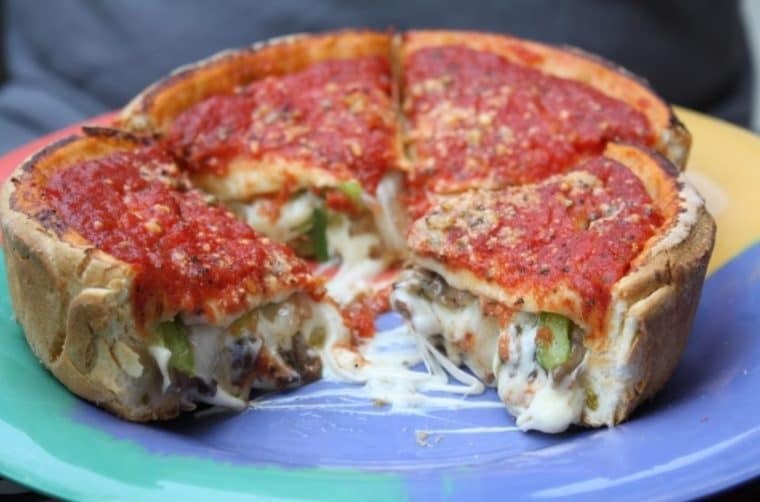 It looks more like a savory pie and is heavily stuffed with cheeses. 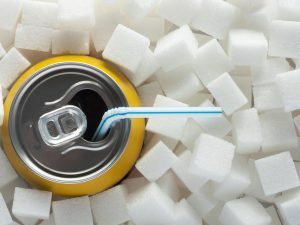 It's obviously a calorie bomb. 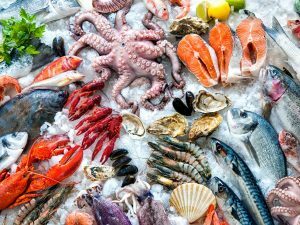 Not your typical Mediterranean diet meal. 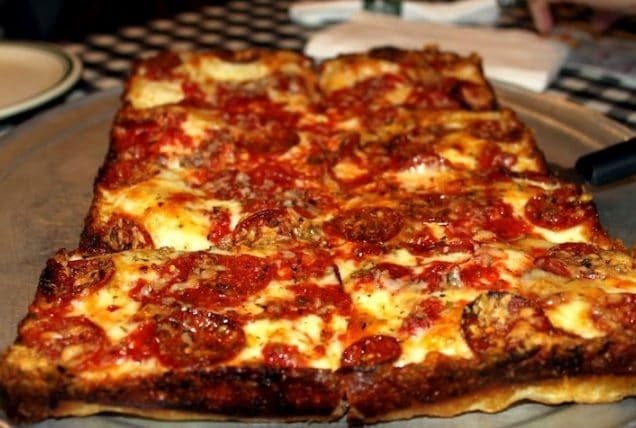 The typical Michigan pizza looks like an Italian focaccia: it's tall, tender and has various toppings. 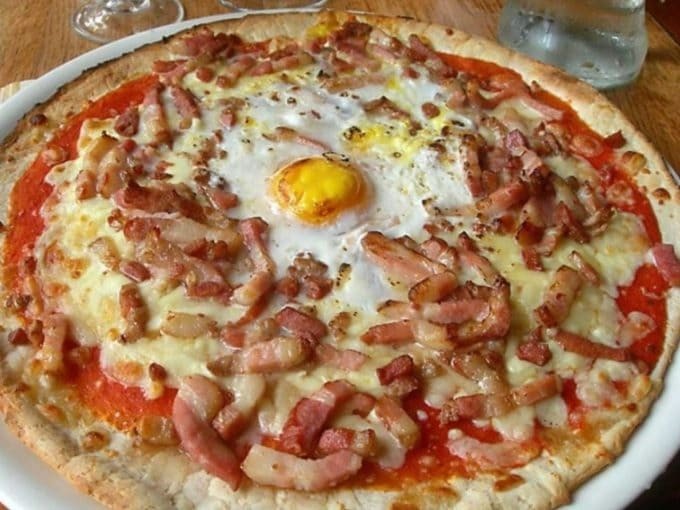 This French pizza has a cooked egg in the center and is topped with bacon and cheese with tomato. 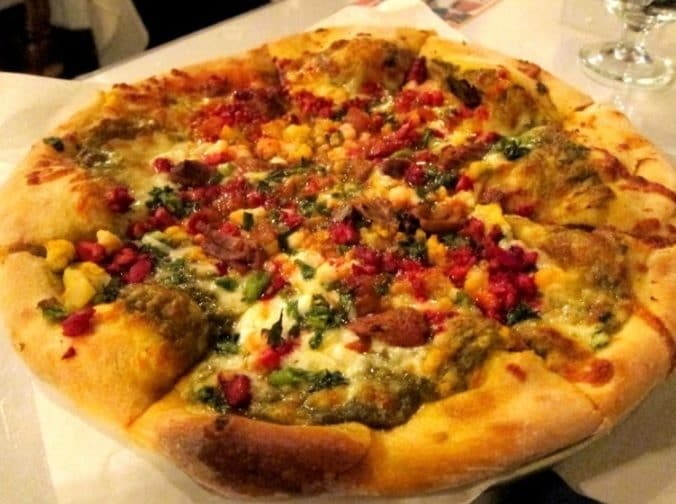 The so-called New York Pizza is thin and crunchy. 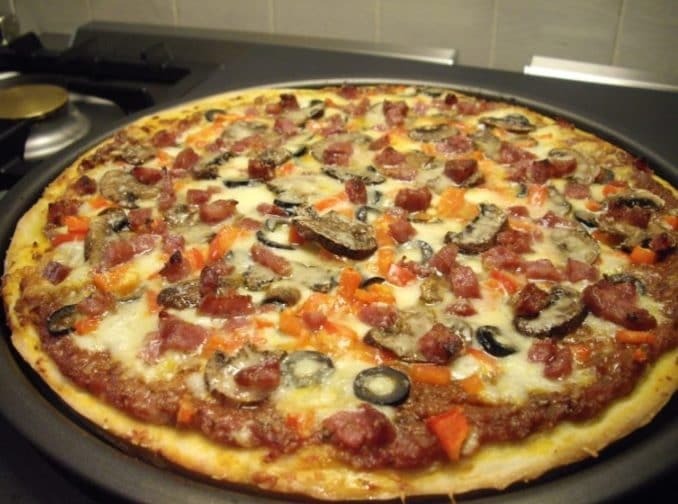 You can use any topping you like, from salami to sausage, from olives to pickles. Even marshmallows. 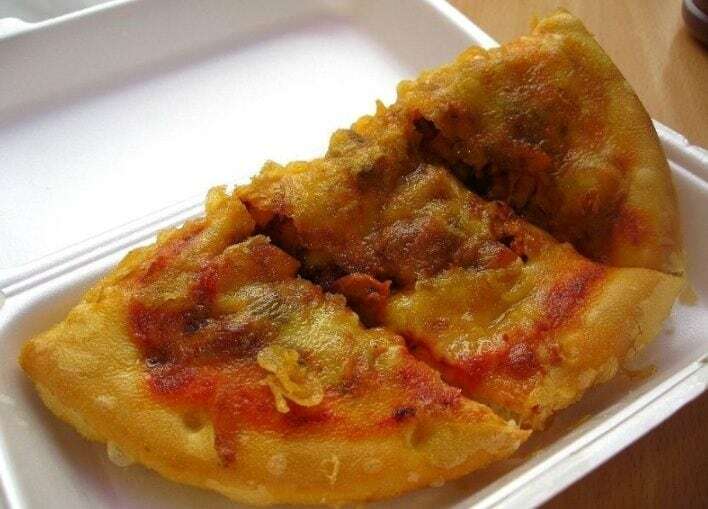 A variation of the Scottish pizza is this deep-fried pizza, similar to Italian "pizza fritta". 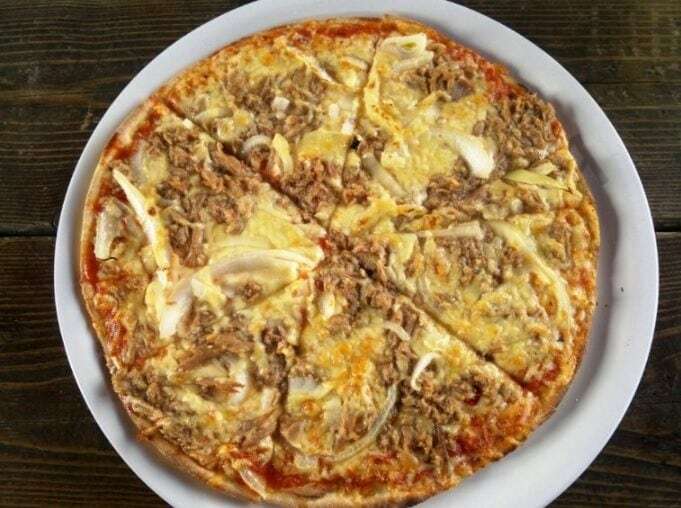 Thunfisch pizza is the German pizza with minced tuna, tomato sauce, peppers, onions, cheese and oregano.